Hello fellow Steemians, I know today is Castle Monday, yet I was not able to get a castle this week. So to change the game up a little bit, I switched the castle with a mountain. Can you guess this mountain and its name? Look closely and you will notice it is on a lake. You will notice also that the mountain looks like a face of a sleeping man. On the right side are his hair, follow it up and you see his nose, then the chin and his neckline. Where is this mountain? And what is it called? First person to get the correct name wins the 2 SBD! Thank you for playing and enjoy this beautiful day! I need the name of the mountain, because there is a restaurant at the top. Yes!!!! The San Salvatore on lake Lugano is correct. You get the tip! 2 SBD. 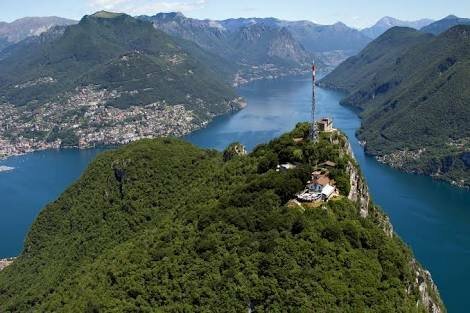 Have you been to Lugano? yes i have been there time ago. It's an amazing place to visit, love it. he he he the game was so difficult for peoples who haven't been there. the photo is not very clear and it's hard to guess. I took the picture with an old iPad, so it was not very sharp. Thank you for participating in a fun game. The game makes people google images and they learn new places. Of course people that have been to Lugano, have a big advantage. Congratulations, and hope you had fun. Yes, the view seen from Campione D'Italia. Hi @loveyourlife! You have received 2.0 SBD tip from @bernardino! wow....Its really fantastic. Capture the real view. To the east of the lake are the mountains of Rosegna and Legnonoe. 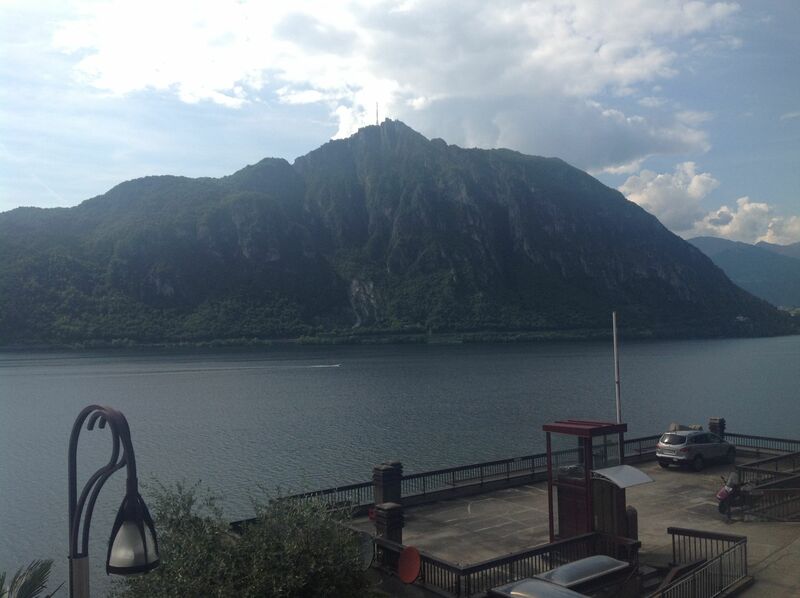 While in the west of the lake, there is Mount Bregnano. You are close, but it is not correct. To the east of the lake are the mountains of Rosegna and Legnonoe. While in the west of the lake, there is Mount Bregnano. Between the 'feet' of the lake, the mountain is named San Primo. Lugano is a beautiful city in the South of Switzerland, definitely worth a visit if you travel to Switzerland. I will visit it because I like place like this @bernardino . Have you been there? Yes, I took this picture. They speak Italian and the food is excellent. What a beautiful place ?your posts are awesome, especially the Photography.Keep it up you did some really genius. It looks such a wonderful mountain photo. The all photos looks really great. Hope you will enjoy your extended day too. It will definitely be a wonderful memory. Yes, it is hard for some people, but it is a game and you learn new places. Important it is fun and educational. really a beautiful sight to dielly..!